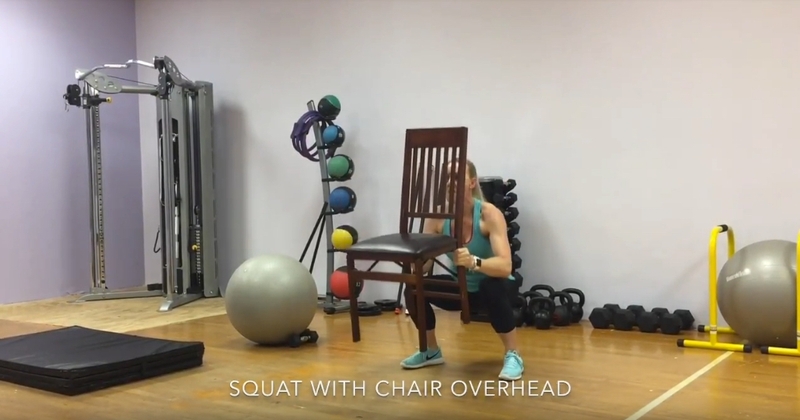 This is a total body awesome workout (using only a chair) for anyone at home or while traveling. Make sure to place your chair safe against a wall and maintain proper form. 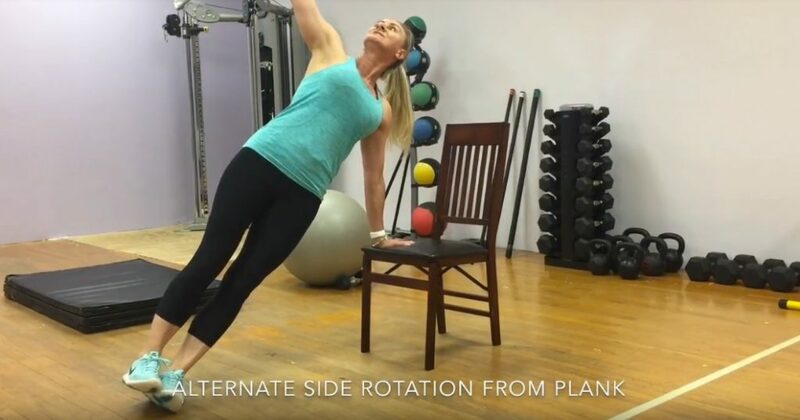 Start with a warm up, then do 5 rounds of 10 repetitions of each exercise and complete with a nice cool down and stretch. Let’s do this!